One of the experts in the law answered Him, “Teacher, when you say these things, you insult us also.” Jesus replied, “And you experts in the law, woe to you, because you load people down with burdens they can hardly carry, and you yourselves will not lift one finger to help them.” (Luke 11:45-46)First, I am on my way to Honolulu tonight to get ready for the new The Jesus Dialogue series and I’m so stoked I could almost pop. Never have I felt such clarity in thought. And I am so excited about this upcoming event. It begins this next Friday night (October 7)at the Honolulu Central SDA Church. Please make this series a priority in your prayer. I have never felt a series fit so perfectly together. It’s almost as if revealing the Character of the Father through the lens of the person of Jesus Christ was the emphasis our beliefs were to always have. It makes perfect sense and it works so seamlessly. In each presentation, as I’ve written them, God’s love keeps getting clearer and brighter each step of the way. It is my aim to publish each night’s presentation to the website each following day so we can share it with everyone. So, please partner with us in prayer, pray without ceasing with us, and keep an eye out on the website for it beginning next week. But enough about that. Let’s get back to Luke 11. This week, I want to continue with verses 45 and 46. 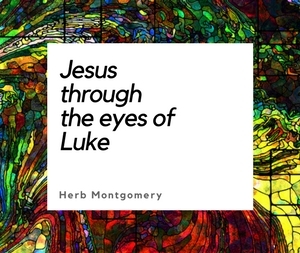 Jesus has, up to this point in the passage, been directing His comments toward the Pharisees, but now we see Him changing His focus from the Pharisees to the Scribes. The Scribes were the law experts, the ones who interpreted the law for the Pharisees. The Pharisees simply applied the law; however, the scribes told them how to apply it. So the Scribes are the real culprits, the ones at the foundation of this religious environment Jesus is so vehemently opposed to in these passages. Greek word here is phortizo, which was the verb used for loading boxes or cargo on ships. In other words, you are loading people down with thing after thing. Here’s another thing you need to do and here’s another and here’s another. Here’s an “ought,” here’s a “should,” here’s a “gotta do.” Imagine if you will, a person to be a cargo ship, and all their religious community’s endless religious rules are the cargo that they find themselves weighed down under. Jesus was ministering in the midst of a religious environment that made following God difficult, while according to the words of Jesus, it was supposed to be easy. This is such a misunderstood subject. And before we dive into it, I want to just add at the beginning that if you find in your heart the tendency to lean more toward answering that following God IS difficult, then I would submit that to whatever degree we find this feeling inside of us, to that same degree we have not yet truly seen the God Jesus come to reveal to us. But I can already hear someone out there bristling, “what about the struggle with the flesh?” If I can be open and honest for a second, too many times we become too preoccupied with “battling” our flesh. (I know I know, but don’t misunderstand me.) The flesh dies in the light of the Cross. Our self-centered bent becomes eradicated in us to the degree that we live in the light of the Cross. Now, of course this does not happen overnight and, yes, it is especially experienced in stages or degrees, but listen: The struggle should not be to fight the flesh, but to fight to keep our eyes on the love that streams from the cross of Calvary so the flesh remains dead! Wouldn’t it make sense to—instead of always going around wrestling with the fruit of our self-centeredness—to rather simply cut it off at the root? Doesn’t it make more sense to, instead of wrestling from the outside in, to go right to the heart of the matter and cut it off on the inside at its very core? This is what Paul wrote happens inside of us when we genuinely grasp what Calvary is whispering to us—the love that’s in God’s heart for us all. Does this mean we should never wrestle? No, I’m not saying that. What I am saying is that the more preoccupied we are with the revelation of God’s heart of radical, self-sacrificial, other-centered love as revealed through the cross of Calvary, the easier our internal wrestling will be. Listen, none of us have arrived. Of this, I am sure. But something else that I am equally sure of is that when I, in my heart, am focusing on God’s heart for me, when I cease to be so preoccupied with getting God in my heart and I focus instead on seeing how deeply I am in the heart of God, every sacrifice I am called to make for the kingdom ceases to be a sacrifice and becomes a delight, every duty I am called to for the sake of the kingdom ceases to be a duty and becomes a pleasure. Now again, Jesus was ministering in the midst of a religious environment that made following God difficult, while according to the words of Jesus, it was supposed to be easy. What we have here are two contrasting realities. One which from the outside looks very hard but is actually easy, and the other which, if I can be honest, for most people is easy, but when we attach endless “religious” rules to it, make it much more difficult for folks. Listen, Paul’s life of living for the kingdom was, looking at it from the outside, hard! But if you were to look at what was going on in Paul’s heart in response to Jesus, you would see, really, it was the easiest thing in the world for him to love someone back who was so unselfish, so other centered, so beautiful, regardless of the cost to himself and with no thought of what he may have received in return. Those who follow the opposite, which is the “actually easy but we make it hard” paradigm, are really in a spiritual prison where they receive life, value or security from either the rightness of their beliefs or the rightness of their behavior. (See last week’s eSight.) That’s what makes it hard. No matter how many beliefs they have piled up or how many rules they have, it just never seems to be enough. This kind of religiosity is very hard. Also, I’ve noticed that these folks tend to degrade what following Jesus really means in the realm of lifestyle. They begin to characterize rightness of behavior as “I don’t listen to this type of music,” “I don’t eat these certain foods,” “I don’t wear this type of clothing or adornment,” and the like. (Now I can already hear it, some of you do have strong opinions about what is right or wrong in these categories, and listen to me, I do too, but hear what I am saying.) It is much more attainable through reliance on our own willpower not to eat certain foods, not to listen to certain music, and not to wear certain attire than it is to actually love your enemies, give all your possessions to the poor, and throw parties in our homes for those who materially have nothing (see Luke 14:12-14). Because these folks are receiving self worth, value, or eternal security from the rightness of their behavior, there is a tendency with many, sometimes without their even realizing it, to belittle what it means to follow Jesus to a matter of simple externals. Now, to escape any possibility of having to deal with the emotions of failure when so much is at stake, they tend to degrade following Jesus to a level that they themselves can reach with simply the strength of their own will power. They can do it. Now it is hard. But it’s just hard enough to give them a sense of value and worth for actually achieving that behavior, but it’s not so hard that they can’t do it. Jesus would disrupt the lives of people who were invested in this type of religiosity. “You want to play this game, fine, go sell everything you have and give the money away to the poor. You want to get worth or security from your behavior? Here’s where the standard really is—good luck with that!” I call this kind of religiosity “easy” because that compared to what God’s kingdom really is about, what I eat, what I listen to, and what I wear are a breeze! These are actually the very things that people in our secular world do quite easily. Watching your diet is a secular health trend right now. Some folks actually prefer one music already over another. And I’ve noticed in my area, even folks who aren’t religious are very simple or humble in their appearance, and none of this is for religious reasons at all. These are actions even sections of our secular populations do, and for them it’s EASY! In reality, when you truly grasp what Jesus actually was teaching, Jesus lifts the standard so high that it would take a miracle for us to live that way, but then shows us such an incredible love that we find ourselves genuinely desiring to live that life of other-centered love. We begin to witness it actually coming from, not ourselves, but the strange work that Jesus himself is doing in our innermost heart. Again, we have two realities. One that on the outside looks very difficult but is actually made easy, and it’s opposite, the paradigm where we find ourselves doing things from a religious motive that most people would find easy, but because we attach religiosity to it, it becomes difficult. This second paradigm actually does damage to people’s perception—both within religious communities and without—of what it really means to follow Jesus. These types of religious environments burden their adherents with “here’s an ‘ought,’” “here’s a ‘should,’” “here’s a ‘gotta do.’” They load people down and they exhaust them. Instead Jesus calls us to live in a way that on the outside, to the natural heart, looks extremely difficult if not impossible, but through the revelation of his love, changes us from the inside out and makes it all easy. Let me wrap it all up this week. We, too, then as followers of Jesus must begin to create religious environments where people feel genuine rest for their souls: environments that, through the same revelation of God that we find in Jesus, empower people to embrace a life of other-centered love; environments that, through the revelation of who God really is and what dwells in His heart for you, genuinely empower people to live other-centered lives; in light of what Jesus so strongly said to this Scribe, environments that care more about people than they do about loading people down with thing after thing; and in the areas where rules are needed, environments where the rules that do exist genuinely reflect the intrinsic nature of reality rather than simply being another form of imposed religiosity. We must begin to create religious environments that care more about helping people than exhausting people—environments that seek be a living corporate demonstration of God’s love for this world. Thank you so much for taking the time to read this week’s eSight. Please keep this upcoming series in your prayers. And in the light of God’s extravagant unbounded love for the evil as well as the good, this week, live a life of that kind of love. Love like the sun shines and like rain falls. (Matthew 5:44-45) Love like Christ, and keep building the kingdom.